I’ve been stay in my parents house for the past 3 weeks, since that was a holiday, and the next school year in high school is just about to begin. that 3 weeks holiday minus couple days to give lectures. I spent most of my time visiting relatives, baby siting my adorable nephew, and my little angel, Larasati, and visiting neighborhood to get into socialization sometimes. 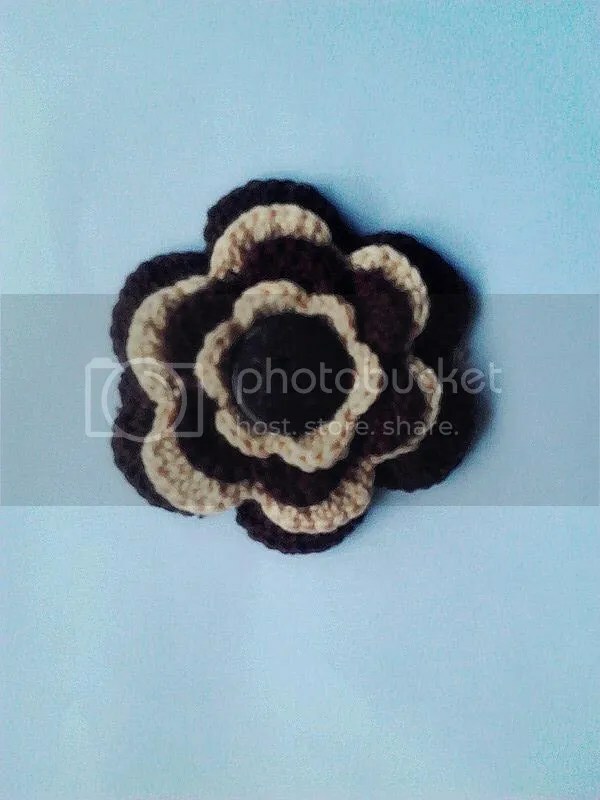 meanwhile, I was making lots of crochet flowers, that applicable for a brooch, headpin, etc. I’m on my way to make another bag. I got the pattern from a friend in Facebook who sell the yarn. well my project still half way to go. 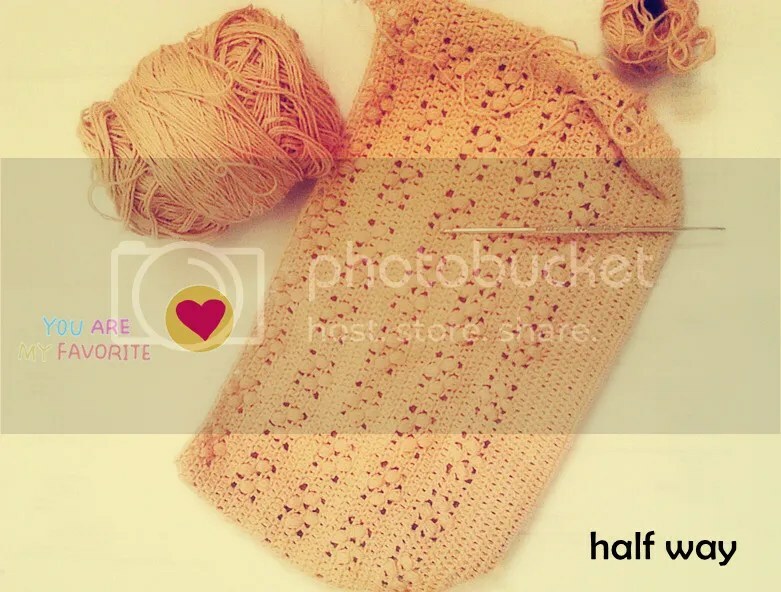 I got very busy lately.. here is my Half way project and I’ll share the Pattern.